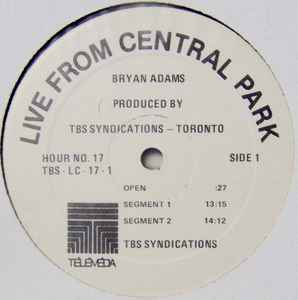 Live LP for radio broadcast on Télémédia-owned Canadian stations. White label with black print in generic white die-cut jacket. Produced by TBS Syndications, Toronto.